After its classic transformation into an eclectic blend of European style with African chic, Chitwa Chitwa has emerged as an exquisite balance between unbridled luxury and environmental harmony. We strive to achieve this through our ongoing efforts to maintain a holistic approach as a guest in the home of the African bush, thus ensuring the continued splendour and beauty of Chitwa Chitwa and its surrounds for generations to come. Nestled in a pristine golden triangle of African fauna, the luxury lodge basks in the sun on the banks of one of the largest lakes of the exclusive 63,000 hectareSabi Sand Private Game Reserve,which forms part of the greater Kruger National Park. This area, in turn, is incorporated into the Great Limpopo Transfrontier Park – a world-class eco-tourism destination managed to optimize benefits for the sustainable economic development of local communities and biodiversity conservation. Great care has been taken to balance unpretentious style with complete comfort in our beautiful chalets. Each individually decorated suite has its own private plunge pool, framed by a spacious timber deck that overlooks the nearby lake – a popular drinking hole for our wealth of wildlife. In response to a growing demand for greater privacy and exclusive hospitality, we have created a treasured escape into unapologetic style in the form of The Chitwa House. Here, guests can enjoy a bush experience tailored to their every whim with the assistance of an experienced house butler and the enthusiasm of a dedicated ranger. Aside from the striking beauty of the African chic interior, the emphasis is on an element of familiarity as guests set the pace in their own private piece of Africa. The most thrilling and eagerly-anticipated part of any stay with us is undoubtedly the Chitwa Chitwa safari experience. For over a decade, our guests have been treated to spell-binding sightings of our abundant wildlife and have left with affectionate memories of the very best of the African bush. The experience is further enhanced by our desire to protect and sustain the local environment and improve the well-being of our resident communities. Located in the Sabi Sand which is the birthplace of sustainable wildlife tourism in southern Africa, Chitwa Chitwa is highly acclaimed for itsexcellent game viewing, as all hunting in the area has been abolished for decades. As a result, the animals have grown accustomed to the presence of safari vehicles in their territory and we can boast some of the best opportunities to meet Africa’s Big Five – being the five most dangerous animals to meet on foot: buffalo, elephant, rhino, leopard and lion. Our highly qualified guides and Shangaan trackers ensure an unforgettable African safari by enriching the experience with their profound knowledge regarding this animal kingdom and its complex habitat. 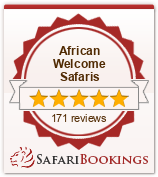 Live Your Game Lodge in Africa! A sensorial experience which starts at sunrise and captures the very essence of the magnificent wildlife heritage and natural landscapes. Dixie is a small village situated close to the Gowrie Gate entrance of the Sabi Sand. Through our close associations with our neighbours and our love of the area in general, we have cultivated a unique partnership with the Dixie community in order to contribute to their general upliftment. The Cultural Village Excursion, headed by professional field guide Chris Sebuye affords the opportunity to slip unnoticed into a day in the life of the locals whilst tapping into the optimism and energy that is so much part of this little village’s charm.The transfer will be in a Chitwa Chitwa open vehicle and will take about two hours from the time of departure from the lodge. Nothing typifies the ultimate in relaxation more than one of the oldest healing arts in the world: massage. The far-reaching benefits of massage such as stimulating circulation, removing toxins and relieving the stress and tension of everyday living can be experienced at Chitwa Chitwa with our resident masseuse. The Chitwa Children eco-experience is designed to entice our younger guests into our world whilst encouraging a love for the African bush and her many secrets as well as a greater awareness of the environment in general. A daily bush walk within our enclosed camp area. Walks are guided by an educator who will offer the children the opportunity to learn about and identify the beautiful fauna and flora in the area. Basic bush skills are taught such as how to survive in the bush, what plants to eat and how to build a basic shelter. A face painting session where children will enjoy a big five masquerade. Making spoor moulds of animal tracks with plaster of paris. Evenings spent roasting marshmallows and sipping hot chocolate whilst listening to the enchanting folk-tales as told by an “intokoto” (the Shangaan term used to describe a person with lots of life experience). Chitwa Chitwa story books are placed on children’s beds during turn down in the evenings. These fairy tales include traditional local bedtime stories such as “when the elephant was King” and ” When the hippo was hairy.